Today you’re getting a list of the best desktop vaporizers that you can currently get. 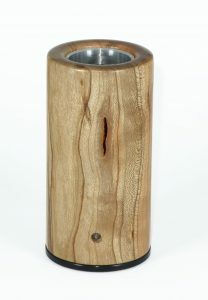 You can be sure you will find a desktop vaporizer that perfectly matches your style and budget. Keep reading to start with our top 3 comparison table. Quick note: If you want to be mobile/flexible even at home, it might be worth it to see our best portable vaporizer list. The Arizer Extreme Q is the most versatile desktop vaporizer there is. …and probably ways I haven't tried yet. Of course, this versatility comes with a price. The Jack of all trades is master of none. The Arizer Extreme Q is not the best vaporizer in anything except versatility. Look further down this list. But for its price point, you really can't get anything better. The value you get out of $150 dollars is unparalleled. And its quality will be good enough for 90% of vapers. One potential issue with this vape is that part of the air path passes over the electronics. The jury's still out on whether this could be an health-issue. But if you want to minimize health risks to the best of your ability, it's best you take a look at the next vape. Next up the BEAST of BEASTS, which is also a very safe choice in terms of any potential risks. 10% Off Coupon Code: vaponaut10. It HAS to be the VapeXhale Cloud EVO. This is the hardest-hitting vaporizer on the market. 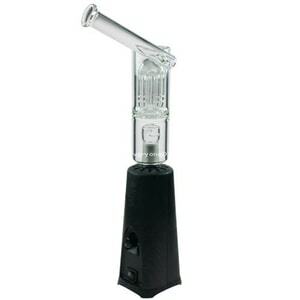 This beast is designed to be used with a bubbler (water filtration) called a Hydratube. These Hydratubes help you handle the monstrous clouds coming out this beast, and really help smooth out the vapor. The VapeXhale Cloud EVO produces the best-tasting flavor of all desktop vaporizers in the low- to mid-temperature ranges. Only in the high-temperature settings, the crown goes to the Herbalizer. It's the only vaporizer which can truly say it has an all glass air path because it's one of the only vaporizers which has its air path fully separated from the heating element and electronics. This is one of the key reasons why its vapor quality is so good. But there are more benefits to this design choice of a full glass air-path that's completely separated from the electronics. It makes the VapeXhale Cloud EVO also a very safe choice, for you health-conscious vapers. Next up is the most famous vaporizer…and only desktop vaporizer with an official medical certification. This vaporizer probably doesn't need an introduction. Because it has been around since 2001, and after 16 years, STILL holds a spot among the best. 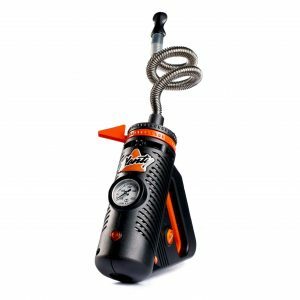 The Volcano Vaporizer blows balloon (bags) like no other vaporizer. It's the best party/group-vape you can get. Within minutes it will fill the largest balloons with such potent and tasty vapor, that it will give the most powerful whip- and direct-draw vaporizers a run for their money. The downside of this powerful balloon-performance is that in any given session you'll need more herb to get started than the average vaporizer (0.3 grams). And its versatility is limited to balloons. It's basically all the Volcano does: blowing balloons. But blowing balloons for 10+ years without ever breaking a sweat is a remarkable quality. 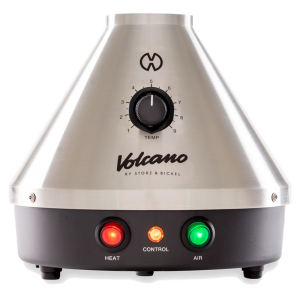 The Volcano Vaporizer is the MOST reliable vaporizer on the market (portable or desktop). This vaporizer simply won't break. Instances of 10-year-old Volcano Vaporizers still working effortlessly are extremely common. It's also one of the few vaporizers with an official governmental medical certification. Being one of the only vaporizers with a governmentally approved medical certification, means this is one of the safest vaporizers you can get! The E-Nano Log Vaporizer is the most efficient desktop vaporizer in vaporizer-land. The vapor quality and potency of the E-Nano is up there with the high-end vaporizers. And the best part is that you only need a pinch of herb to produce monster clouds with the E-Nano. This is exactly what makes the E-Nano the best vaporizer for efficient solo vaping. It's one of the worst vaporizers for group-vaping. And not only because its bowl is so small. There's also some technique involved with using the E-Nano. It's not a ‘just turn it on' vaporizer. Basic setup (how far you let the mouthpiece stick out for example). The E-Nano will bless you with beautiful and flavorful clouds of deliciousness with just pinches of herb. 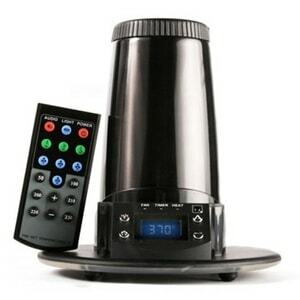 The Da Buddha Vaporizer is another vaporizer which provides insane value for your money. But the clouds coming out of this vape are highly impressive. With a whip-style vaporizer, it's always easier to get hard-hitting clouds than a balloon-style vaporizer for example. But the Da Buddha Vaporizer really comes close the hardest hitting desktop vaporizers like the VapeXhale Cloud EVO. Its vapor quality is up there with the best as well. When you get in the higher temperature ranges the vapor does get harsh. And the temperature is controllable with a knob that has no signs on it, which means you don't ever really know what temperature you're vaping at. This minor handicap does add to the learning curve of the DBV. Because if you're not careful with the knob or your drawing speed, you will be burning your herb. But If you can accept its learning curve, you'll be getting one of the most reliable vaporizers on the market. This vaporizer will easily last you 5+ years. In many ways, the PLENTY is similar to the Volcano. Except it doesn't blow any bags. It's a true hand-held direct-draw vaporizer. No balloons or bags involved with this vaporizers. You're super-close to the source. And you got the perfect recipe for extremely powerful hits and long-lasting sessions. Which categories you find most important in your vaporizer (design, portability, safety, potency, flavor, efficiency, ease of use, temperature control, reliability). What's the Best Temperature to Vape Weed?